Jamaat-e-Islami (also written Jamaat-i-Islami or abbreviated JI) is Pakistan's oldest religious party. The JI ranks among the leading and most influential Islamic revivalist movements and the first of its kind to develop an ideology based on the modern revolutionary conception of Islam in the contemporary world. JI's intellectual inspiration primarily came from thoughts of Maulana Sayyid Abul A'la Maududi, who along with the great thinker poet Dr. Mohammed Iqbal, set the pace for contemporary Muslim thinking in the South Asian sub-continent. JI was established in Lahore on August 26, 1941 (in the Islamic calender that date was 2 Sha'ban, 1360 AH). The Jamaat established close relations with conservative Muslim governments and organizations in the Middle East, particularly with Saudi Arabia. Close relations between the Jamaat and the Saudi monarchy were instrumental in arranging Saudi aid for Pakistan's purchase of F-16s. and Saudi subsidies to the Afghan Mujahideen werechanneled through the Jamaat‘a relief program. The Jamaat alone among Pakistan‘s political and religious groups was given considerable scope for operation among the Afghans. Throughout its history, the Jamaat maintained its connections with the Muslim Brotherhood and other conservative Islamic organizations in other countries. The heart of the close relationship between the Zia regime and the Jamaat lay with the latter's control of its violence- prone student wing. the Islamic Jamiat Tulaba (UT). The relationship had its origins in the agitation in 1977 against the Bhutto regime that set the stage for Zia's coup. The IJT participated in the anti-Bhutto disturbances and after Bhutto's downfall battled the pro-Bhutto forces in the streets side by side with the police. The IJT was the most violent and successful of the student groups that were wrcsting control of the campuses from Bhutto‘s supporters. The IJT, with the acquiescence of the Zia regime, continued to stifle pro-Bhutto anti-regime activism. Jamaat leaders wanted to see society based on lslamie ideals more compatible with their own strict interpretation in order that their party can survive beyond Zia's tenure. The Zia regime must strike a balance between exploiting Jamaat assistance and maintaining its distance from the Jamaat lest it share in the dislike that much of the Pakistani public feels toward the Jamaat. Initially, supporters are sorted keeping in mind the extent of their commitment to party. The hierarchy that resulted began at the bottom with the sympathisers (hamdard) then the affiliate (mutaffiq) and ended with the members (arkan). The first two categories played no official role besides serving as a pool from which new members were drawn and helping relay the JI's message. All categories provided workers (karkuns) employed by the party to perform political and administrative functions. Affiliates were those who favored an Islamic order and supported the JI but were not members. They were, however, under JI's supervision and were organised into circles and clusters. Affiliates stood higher in hierarchy than the sympathisers. With the founding of Pakistan on 14 August 1947, the JI was also reorganised. It was then classified into two independent organisations, the Jamaat-i-Islami Pakistan and the Jamaat-i-Islami Hind. Besides these two bodies, JI had and continues to have an autonomous existence in the Indian held Kashmir. In Sri Lanka, the JI was said to be working on a self-reliant establishment. In mid 1970s, the Jamaat-i-Islami Bangladesh was also revived as an independent movement. While all the five organisations under the name of Jamaat-i-Islami work for essentially similar objectives and have identical ideological approach, there is no organisational link between them. Each operates independently and has developed its programs. In its endeavours to propagate Islamic thought and to work for the cause of the Muslims around the world, JI developed and maintained close brotherly relations with the Islamic movements and missions working in different continents and countries. The Akhwan-al-Muslimeen in the Arab world, the movements working in the northern African countries, Hammas in Palestine, Rifah in Turkey, Hizb-e-Nehdat-e-Islami, Tajikistan, Ma'Shoomi in Indonesia, the Muslim Youth Movement and the Islamic Party of Malaysia, al To'iah-al Islamia of Kuwait and Qatar and Al-Jamaat-e-Islamia of Lebanon, have ideological and at levels practical contacts with JI Pakistan. In order to rid the community of what it considered to be deviant behavior, the JI waged a campaign in 1953 against the Ahmadiyya community in Pakistan that resulted in some 2,000 deaths, brought on martial law rule in Punjab, and led Governor General Ghulam Mohammad to dismiss the Federal Cabinet. The anti-Ahmadiyya movement resulted in 1974 in a bill successfully piloted through the National Assembly by then Prime Minister Zulfiqar Ali Bhutto declaring the Ahmadiyyas a non-Muslim minority. The JI's views on Islamization and limited political participation were opposed by those people who saw the party's platform as advocating religious dictatorship. The question of whether the JI was a political party or an organization working to subvert legitimate political processes was raised in the courts. The Supreme Court ultimately decided in favor of the JI as a lawful political organization. Prominent in political life since independence, the JI was the dominant voice for the interests of the ulama in the debates leading to the adoption of Pakistan's first constitution. The JI participated in opposition politics from 1950 to 1977. Under party chief Mian Tufail Muhammad, the JI supported the Zia regime's Islamization program, but it clashed with him over the 1984 decision to ban student unions because this ban affected the party's student wing, the Jamiat-i-Tulaba-i-Islam (Islamic Society of Students). The Jamiat-i-Tulaba-i-Islam had become increasingly militant and had been involved in clashes with other student groups on Pakistani campuses. Aspiring student activists, supportive of religious issues, have flocked to the Jamiat-i-Tulaba as a means of having an impact on national politics. The Jamiat-i-Tulaba-i-Islam also has been a major source of new recruits for the JI. It is thought that one-third of JI leaders come from the Jamiat-i-Tulaba-i-Islam. The JI envisions a state governed by Islamic law and opposes Westernization--including capitalism, socialism, and such practices as bank interest, birth control, and relaxed social mores. The JI's influence has been far greater than its showing at the polls suggests. In 1986, for example, two JI senators successfully piloted the controversial Shariat Bill through the Senate, although it did not become law at that time. In addition, the movement of student recruits from the Jamiat-i-Tulaba-i-Islam into the JI has created a new bloc of Islamist voters. Through the Jamiat-i-Tulaba, the JI is working to leave a permanent mark on the political orientation of the country's future leaders. However, the Pakistani electorate has been resistant to making religion a central factor in determining statecraft. In 1990 the JI was an important component of the IJI but nevertheless won only four seats. Furthermore, in the 1993 national elections, the Islamization factor was even more muted because the religious parties, spearheaded by the JI, were not aligned with the two main contenders, the PML (N) and the PPP. The JI and its political umbrella group, the Pakistan Islamic Front, captured only three seats in the National Assembly. As of 2008, JI was part of subseqeunt umbrella group of Islamic orient parties in Pakistan, the United Action Front, or Muttahida Majlis-e-Amal (MMA). 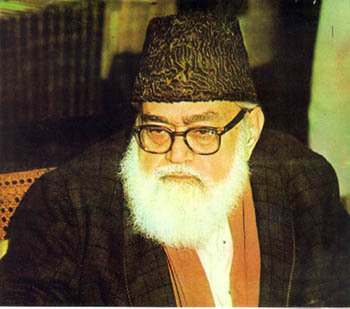 Abul Alaa Maududi (1903-79) was the founder of the Islamic sect in Pakistan called Jamaat-i Islami. Maududi was what is now being termed a "contemporary Islamic revivalist thinker." The JI founder Maulana Maududi coined the terms tehrik-e Islami and Islami inqilab (Islamic revolution) in the south Asian context. The ideological contribution made by Maududi appears to be one of the major factors behind the global Islamic reawakening. His call for ijtihad based on the Islamic sources the Qur'an and sunnah led to what has been termed fundamentalism by Christian scholars. Abul A'la was born on Rajab 3, 1321 AH in the Islamic calender (25 September 1903 AD) in Aurangabad, a well-known town in the former princely state of Hyderabad (Deccan), presently Maharashtra, India. Born into a respectable family, his ancestry on the paternal side could be traced back to the Holy Prophet Muhammad. The family had a long-standing tradition of spiritual leadership and a number of Maududi's ancestors were outstanding leaders of Sufi Orders. One of the luminaries among them, the one from whom he derived his family name, was Khawajah Qutb al-Din Maudud (d. 527 AH), a renowned leader of the Chishti Sufi Order. Maududi's forefathers had moved to the Subcontinent from Chisht towards the end of the 9th century of the Islamic calendar (15th century in the Christian calendar). During 1920-28, Maulana Maududi also translated four different books, one from Arabic and the rest from English. He also made his mark on the academic life of the Subcontinent by writing his first major book, al-Jihad fi al-Islam. This has been described as a masterly treatise on the Islamic law of war and peace. It was first serialised in al-Jam'iyat in 1927 and was formally published in 1930. Maududi summarizes the entire Islamist ideology and some of its justifications in the Quran. The text serves as an excellent (and nearly comprehensive) summary of Islamist ideology. No other work approached this topic so systematically and unapologetically. In the mid 1930s, Maududi started writing on major political and cultural issues confronting the Muslims of India at that time and tried to examine them from the Islamic perspective rather than merely from the viewpoint of short-term political and economic interests. He relentlessly criticised the newfangled ideologies that had begun to cast a spell over the minds and hearts of his brethren-in-faith. Perhaps no other Muslim intellectual in the 19th and 20th century offered such elaborate ideas on political, economic and social dimensions of Islam as we find its in the writings of Sayyid Maududi. Around the year 1940, Maududi developed ideas regarding the founding of a more comprehensive and ambitious movement and this led him to launch a new organisation under the name of the Jamaat-e-Islami. Maududi was elected JI's first Ameer and remained so till 1972 when he withdrew from the responsibility for reasons of health. After migrating to Pakistan in August 1947, Maududi concentrated his efforts on establishing a truly Islamic state and society in the country. Consistent with this objective, he wrote profusely to explain the different aspects of the Islamic way of life, especially the socio-political aspects. This concern for the implementation of the Islamic way of life led Maududi to criticise and oppose the policies pursued by the successive governments of Pakistan and to blame those in power for failing to transform Pakistan into a truly Islamic state. In April 1979, Maududi's long-time kidney ailment worsened and he had also developed heart problems in his advanced age. He went to the United States for treatment and was hospitalised in Buffalo, New York, where his second son worked as a physician. Following a few surgical operations, he died on 22 September 1979 at the age of 76.